Cambridge, the fifth largest city in Massachusetts, is known for heavy traffic. Car accidents are frequently reported in all areas of the city, from Harvard Square to Central Square to Memorial Drive. If you have been injured in a Cambridge car accident and need to speak to an attorney, contact Breakstone, White & Gluck at 800-379-1244 or use our contact form. Our attorneys have over 100 years combined experience representing those injured by negligent drivers in Massachusetts. We offer a free legal consultation and our office is conveniently located in Government Center in Boston. Cambridge has more than 110,000 residents and 120,000 people work in the city, according to the Cambridge Community Development Department. Many walk, bike or take public transportation. But many drive. In high volume traffic, safety has to come first. Drivers must pay attention, set aside cell phones and watch out for cyclists and pedestrians at all times. The Cambridge Police Department responds to 3,000 calls for motor vehicle crashes each year, according to its Crime Analysis Unit. The Massachusetts State Police and college campus police also handle accident investigations. Many motor vehicle accidents occur on Memorial Drive, Massachusetts Avenue and in congested areas such as Harvard Square, Porter Square and Central Square. Broadway, near Cambridge Rindge & Latin School, is another high traffic area, with more than 1,900 students coming and going daily. The Massachusetts Department of Transportation (MassDOT) has also named three Cambridge intersections in its 2014 Top Crash Locations report. The report covers the 200 intersections with the highest number of car crashes. In Cambridge, the intersection of Massachusetts Avenue and Norfolk Street ranked 158th for the number of crashes. It tied with the intersection of Vassar Street and Massachusetts Avenue, near Memorial Drive and MIT. The intersection of Fresh Pond Parkway and Mount Auburn Street ranked 164th. Many Cambridge car accidents involve bicyclists and pedestrians. Cambridge had 8 out of the top 10 crash locations for cyclists in Massachusetts, according to the MassDOT 2014 Top Crash Locations Report. It has two of the top 10 locations for pedestrian crashes. According to the Cambridge Community Development Department, cyclists are most often injured when drivers enter a main street from a side street and hit a cyclist, by dooring accidents and when drivers turn left in front of a cyclist who is riding straight. The MassDOT reports Inman Square is one of the top locations for bike crashes in Massachusetts. In June 2016, a cyclist was killed there, when she hit an open Jeep door and was thrown into the path of a landscaping truck. 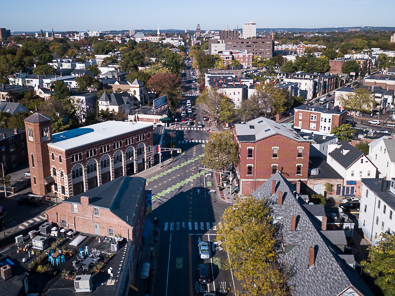 In 2017, the City of Cambridge introduced new protected bike lanes in Inman Square to reduce the number of accidents. If you or a loved one has been injured in a pedestrian accident, it is critical to contact a car accident lawyer. An experienced attorney can start an immediate investigation, preserve evidence at the scene and help locate witnesses. While this is important in all car accident cases, it is even more important when pedestrians are injured, especially in busy cities like Cambridge, with wide roads and a lot of activity. Others on the road don't always notice pedestrian injuries, so you want to identify the people who do quickly. MassDOT reported Cambridge had two of the top locations for pedestrian crashes in Massachusetts. 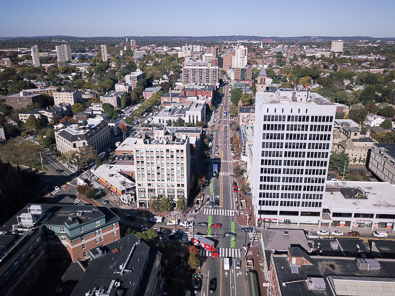 Massachusetts Avenue and Western Avenue in Central Square ranked 5th and the area near Davis Square in Somerville and Cambridge ranked 7th. But pedestrian accidents are a top concern across the city, including in Central Square, Harvard Square and Porter Square. These are all areas where pedestrians can access the MBTA. The MBTA provides bus, subway and train service through Cambridge. Pedestrian traffic spikes when the Red Line and Green Line subways let out and motorists need to pay attention. One of the biggest risks is taxis and Uber vehicles which are dropping off passengers and picking up at MBTA stops. When drivers follow these vehicles too closely, you can expect a collision. Recently, pedestrian accidents in Cambridge have killed two women. In May 2017, the 31-year-old woman was hit and killed while crossing Memorial Drive on a Sunday evening, about 5 p.m. In 2016, a 63-year-old woman was struck by a truck while crossing the intersection of Somerville and White Street. The crash occurred before 6 a.m. The Cambridge City Council took a significant step to protect pedestrians in 2016, by lowering the default speed limit on city roads from 30 mph to 25 mph, unless posted otherwise. The city was among the first cities to take this move after the state Legislature approved a bill giving cities and towns the authority. Motor vehicle accidents are emotional and no one is ever prepared. You may have to make decisions quickly for yourself or family members. First, if you were not taken to a hospital by ambulance at the scene, go to a hospital now and be treated by a medical professional, even if you do not think you suffered an injury. Some injuries do not show themselves right away. For instance, a car accident victim may not realize they have suffered a head injury in the moments after a traumatic crash. Then, you can contact an experienced Cambridge car accident lawyer at Breakstone, White & Gluck. Our attorneys can establish contact with the Cambridge Police Department, Massachusetts State Police or the college police department which investigated your accident. We will conduct a thorough investigation and help you determine whether you can file a claim. Do not delay; Massachusetts has a Statute of Limitations, restricting how much time you have to seek compensation in auto accident cases. The attorneys of Breakstone, White & Gluck have negotiated multi-million dollar awards for clients injured by the negligence and wrongdoing of others in Massachusetts. We have over 100 years combined experience and have represented clients after car accidents, truck accidents and bus accidents. Our attorneys have been recognized for our results for clients over the years, with selection to Top 100 New England Super Lawyers and Top 100 Massachusetts Super Lawyers. Car Accident: A tractor-trailer truck strikes a car, causing the female driver severe orthopedic injuries, including a fractured ankle and knee, hip and shoulder fractures. She was hospitalized for three months. $3 million. Car Accident: Client was driving a car in Marlborough when an 18-wheel struck his car, pushing his vehicle onto a sidewalk and pole. He suffered major orthopedic injuries and required two spinal fusions. $2.5 million. If you have been injured, contact us today at 800-379-1244 or 617-726-7676 or use our contact form.